This ain’t no lie. SundanceTV has picked up season two of the UK TV show Liar. 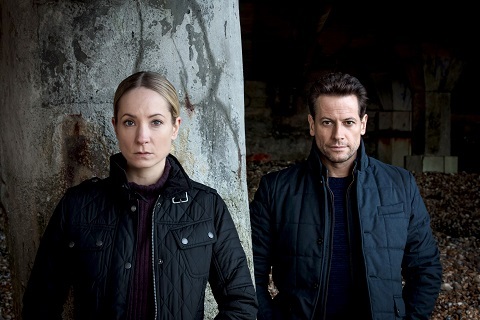 When ITV renewed Liar for a second season, back in November, they said production would begin in 2019, so fans will have to wait a while for new episodes. The drama explores conflicting points of view and recollections about the one night two people shared. The cast includes Ioan Gruffudd, Joanna Froggatt, Zoë Tapper, Warren Brown, Richie Campbell, Jamie Flatters, Shelley Conn, and Danny Webb. PASADENA, CA – January 13, 2018 – SundanceTV announced today that it has picked up the acclaimed modern day psychological thriller “Liar” for a second season. Golden Globe(R)-winner Joanne Froggatt (“Downton Abbey”) and BAFTA’s Sian Phillips Award recipient Ioan Gruffudd (Fantastic Four) will both return for season two of “Liar,” which will once again be written and executive produced by series creators Jack Williams and Harry Williams of Two Brothers Pictures (“The Missing,” “Fleabag”) and co-produced with ITV and all3media International. What do you think? Have you seen Liar? Will you watch the second season? More about: Liar, Liar: canceled or renewed?, SundanceTV TV shows: canceled or renewed? Liar: Cancelled or Renewed For Season Two on SundanceTV? We definitely need to know who the killer in the kayak is. That’s great news. I thought the first season was really suspenseful, and I can’t wait to see what happens. When it finally airs!